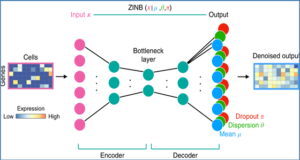 SeqGSEA is an open-source Bioconductor package, for the functional integration of differential expression and splicing analysis in RNA-Seq data. 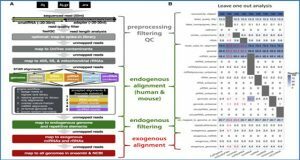 SeqGSEA implements an analysis pipeline which first computes differential splicing (DS) and differential expression (DE) scores, followed by integrating them into a per-gene score that quantifies each gene’s association with a phenotype of interest, and finally executes gene set enrichment analysis in a cut-off-free manner to achieve biological insights. 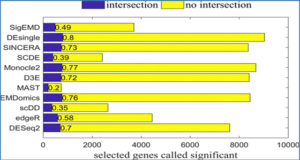 SeqGSEA accounts for biological variability and determines the statistical significance of gene pathways and networks using subject permutation, and thus requires at least five samples per group. Real applications show that SeqGSEA detects more biologically meaningful gene sets without biases towards long or highly expressed genes. 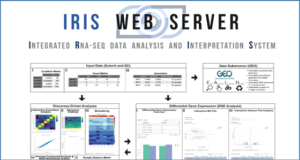 SeqGSEA can be set up to run in parallel to reduce the analysis time.